What a wonderful weekend of celebrations! 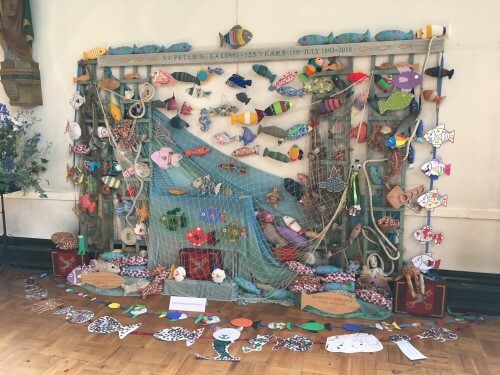 Yesterday our Community Party was very well attended and the fun included a jazz band, a clown, face painting, a bouncy castle, displays (including our amazing fish installation), a BBQ and afternoon tea. Today we were privileged to be joined by the Bishop of London who presided and preached at our Celebration Service. At the end of all those celebrations we said goodbye to a lovely family who have been with us a few years and are moving back to the USA tomorrow - the only slightly sad part of what has been an amazing weekend!